Download DA Form 8024-R, also known as Larval Mosquito Collection. This is part of the United States Army’s pest surveillance program. 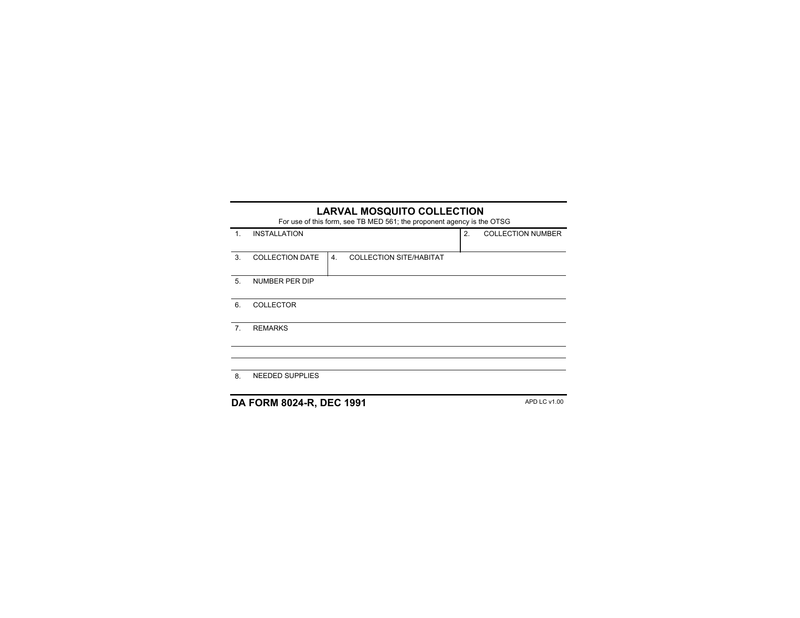 This form will record information with regard to the collection of mosquito larvae. Specimens will be collected from either a collection site or a natural habitat. Fill in this form with all of the required information. Keep it with the specimen through testing. 4. Collection Site/Habitat (enter the location of the collection site or natural habitat where the specimen(s) is/are being collected. Step 2 – Once the specimen collections are collected and the form is completed, keep each form with each specimen respectively through testing.